FORT HOOD, Texas -Soldiers from across the 1st Cavalry Division, both currently serving and those who have retired, gathered at the division museum here as Col. Paul Mele, 1st Cav. Div. Chief of Staff, and Sgt. Maj. Rowan Joseph, senior enlisted advisor for the 1st Cav. Div. operations section, cut a cake in celebration of the division's 94th birthday Tuesday. In attendance were local community leaders, 1st Cav. Div. veterans and Elizabeth Laird, better known as the "Hug Lady." In its 94 years of history, the 1st Cav. Div. has come to be known as the First Team. This long history first started during World War II, Feb. 1, 1945, when the division was first in Manila.after Gen. Douglas MacArthur's order, "Go to Manila, free the prisoners at Santo Tomas, take Malacanan Palace and the legislative building." This mission started a line of firsts for the division. After Manila, the 1st Cav. Div. was first in Tokyo on Sep. 8 1945. The firsts continued when the division was the first to carry out an amphibious assault during the Korean War. The division was also the first to cross the 38th parallel and first to Pyongyang. 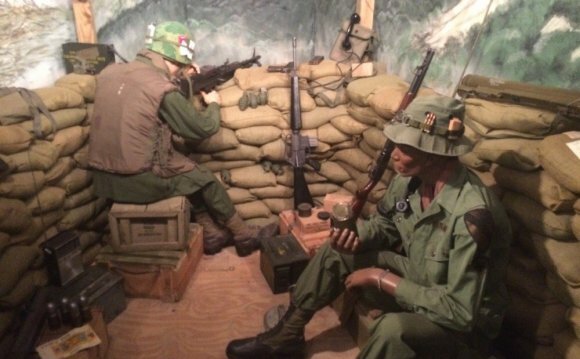 During the Vietnam War, the division became the first air mobile division in the Army. In 1970, the division was first in Cambodia, earning the title "America's First Team." "How do you honor those who have served during those 94 years, " said Mele. "I think we live the legend, and I mean the legend of professional service; the legend of being a competent military force, but not just good at our job, but being people and Troopers of character."